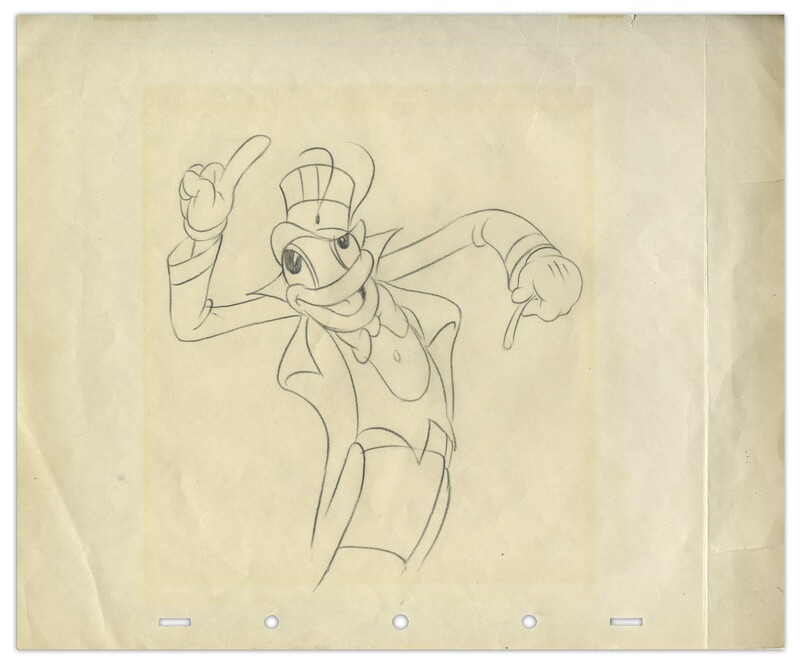 Lot Detail - Ward Kimball Drawing of the Band Leader From "Woodland Cafe"
Ward Kimball Drawing of the Band Leader From "Woodland Cafe"
Disney animator Ward Kimball drawing of the band leader from "Woodland Cafe", Disney's "Silly Symphonies" short film released in 1937. Graphite sketch measures approximately 6.5'' x 7'', drawn on Hammermill bond paper measuring 12'' x 10''. Unsigned. Very light block of toning from previous framing, light creasing to left margin and two closed tear to right margin, otherwise near fine condition. Auction closed on Thursday, March 28, 2019.